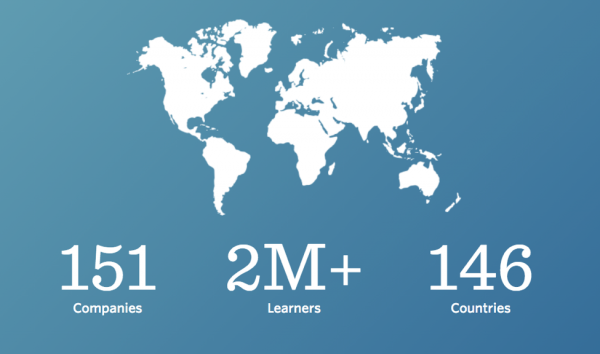 Degreed supports users around the world. Users come from more than 146 countries, and that grows every month. Degreed has many international and multinational organizations with offices across the globe. Degreed itself has offices in the US, Europe, and Australia and remote employees located in more than 7 countries. Degreed provides a seamless experience for our users regardless of language or location and complies with international laws for security and data privacy. Degreed provides multi-language support for 26 languages, including right-to-left languages, with new languages added all the time. Degreed will automatically detect the user’s language based on the user’s browser settings, and display the platform in their preferred language. To see the complete list of supported languages visit our last post on the topic. Security and data privacy laws vary from country to country. The EU has some of the strictest guidelines. Degreed leverages the global network of Microsoft Azure data centers to comply with all of these international guidelines. Microsoft Azure includes more than one million servers in more than 100 data centers in countries, including the United States, Canada, Germany, UK, India, Japan, China, Australia, and Brazil. Azure data centers in Germany are controlled by a German data trustee to comply with requirements in Germany. To comply with EU data privacy laws, Degreed will provide a customizable data privacy notification for users. Regardless of where your employees are located, Degreed has your back.